A versatile and economical survey marker which allows for a variety of permanent survey stations to be set. Stable and very durable making them ideal for accurate X/Y/Z co-ordination. Stability - Resistance to horizontal and vertical movement: The Anchor-Marks' tubular shaft is 25mm in diameter which gives a high degree of lateral stability. 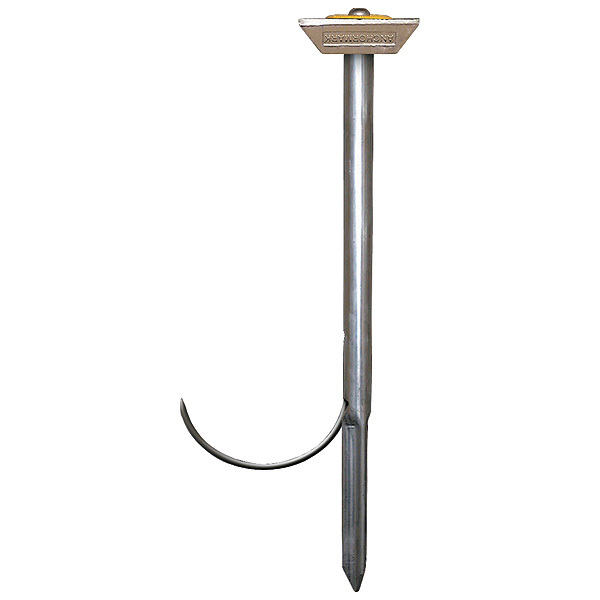 The anchoring element at the base will resist 100-200kg of upward force without appreciable movement. These features create a firm stable survey station resistant to accidental displacement or deliberate movement making them less prone to vandalism. Complete with a unique reversible aluminium head allowing you to set the marker above ground increasing visibility or flush with the surface giving better stability and resistance to vandalism. Alternatively unauthorised removal can be prevented with the optional folded galvanised steel head which leaves no area to get fingers underneath. 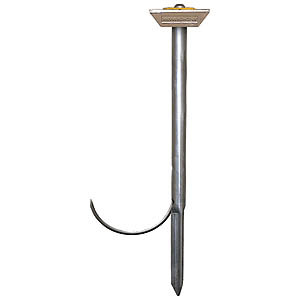 The optional domed alloy marker head provides a larger more durable plumbing point. A data disk Allen key marker pen and a stainless steel domed plumbing stud complete the outfit. An installation kit required for your first purchase, but can be used for all future Anchor-Mark installations.